In a country still recovering from 14 years of civil war, Ebola is posing a new threat to children, with challenges never seen here before. Some children have been forced to leave homes where relatives are infected, cleaving families into the sick and the well. Others face stigma if parents or siblings contract the disease, or they are shunned if they get it themselves and are fortunate enough to survive. And Liberia has a new wave of orphans, like the one caused by the war. We partnered with Restore Hope for a shipment to Sierra Leone where they work with orphans and vulnerable children as well as the elderly. Our shipment included over 50,000 high protein meals, clean water kits, the Gospel and medical supplies (oral thermometers, gloves, alcohol wipes, etc.). The high protein food as well as the clean water kits are produced by volunteers. Since early in 2013, Gbee Darlington was teaching David C Cook’s Children-at-Risk program three days a week in schools in Monrovia, Liberia. He wrote on Oct. 1, “Since the outbreak of the deadly Ebola disease, all schools have been closed down by the Government of Liberia. Right now, I am only teaching the kids at Capehart’s Children’s Home. Is there any literature you have for me to share with them?” Cook sent him lessons to use with these children three days a week. One day will center on spiritual transformation. One day will be on character development. The third day teaches life skills. Food for Orphans is currently feeding orphans in both Liberia and Sierra Leone, the two countries greatly impacted by the Ebola Virus epidemic. We are feeding 74 orphans at the Sierra Leone orphanage, and also are providing additional funds to feed 154 homeless orphans living a short distance away in the community. Food for Orphans is currently preparing to ship 285,000 pre-packaged meals to the orphans in Sierra Leone, as food stock has been decreasing and becoming scarce. We invite you to help us ship this needed container of food. More HERE. New Horizons is working in Liberia to assist children who are homeless and/or orphaned because of the Ebola crisis. We are working with the Ministry of Health in supporting and providing homes to house children and provide for them. Our Liberian representative is attending the meetings with the committee to coordinate our efforts on the areas most needed, and updating us with information and statistics for the best utilization of our funds. 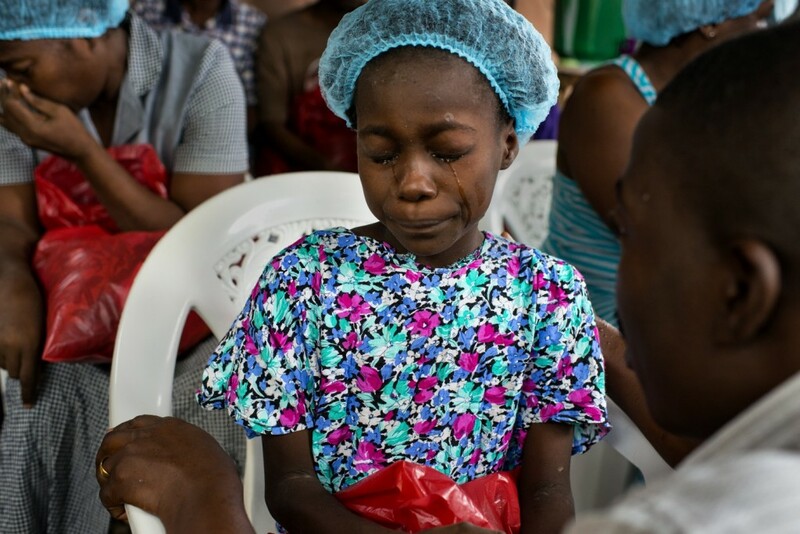 Currently, no Compassion International children or staff have been directly affected by the Ebola virus. However, we are taking precautionary measures to protect our children and staff should the outbreak spread into the West Africa countries where we work – Ghana, Togo and Burkina Faso. Compassion is working with country health officials to stay informed about the Ebola outbreak and its potential risks. In all three countries, Compassion field staff are undergoing Ebola awareness training and distributing educational resources to church partners, volunteers and families. In addition, U.S.-based staff travel and sponsor vision trips to the West Africa countries where we work have been halted, while Compassion staff within our Africa region are discouraged from inter-country travel. Agape has had the privilege to partner with a family, who is adopting a relative from Liberia, through the home study and post adoption process. This family and their adopted child continue to encounter road blocks in their efforts to bring this child to the United States. Agape continues to lift this family up in prayer as we work to get this child home. Please join us in praying for her safety and continued good health.